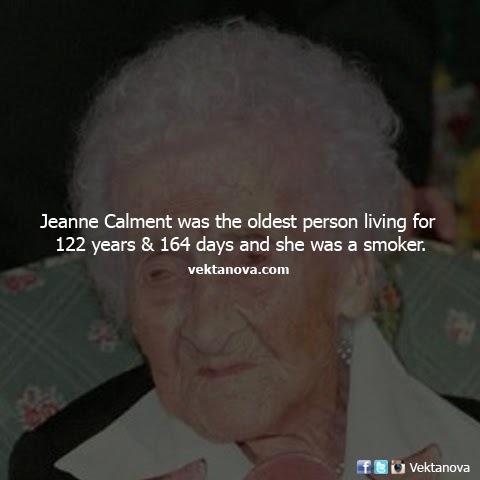 Jeanne Louise Calment, lived 21 February 1875 to 4 August 1997, was a French supercentenarian who had the longest confirmed human lifespan in history, living to the age of 122 years, 164 days. Calment smoked from the age of 21 (1896) to 117 (1992), though according to an unspecified source, she smoked no more than two cigarettes per day towards the end of her life. No response yet to "Smoker Supercentenarian"